For now we see in a mirror, darkly . . . But now abideth faith, hope, love, these three: and the greatest of these is LOVE. May you succeed in all important ways with one another / And not fail in the little graces. If you have quarrels that push you apart / May both of you hope to have / Good sense enough to take the first step back. Here’s where you can share your own tips or observations. A lovely post, Marian. Wishing you and Cliff a very happy 48th anniversary! I love the wedding photo, especially your expression. Brides (and grooms) are like that – smiling unabashedly – always imagining the best ahead. You\’ve seen these expressions at least twice in your family this year. Thank you for the good wishes, Merril! Happy 48th Anniversary to both of you. You sure made a beautiful bride! The tips are perfect. I might add, laugh a lot, even at the mistakes and poor decisions, even at yourself. It has worked for us. 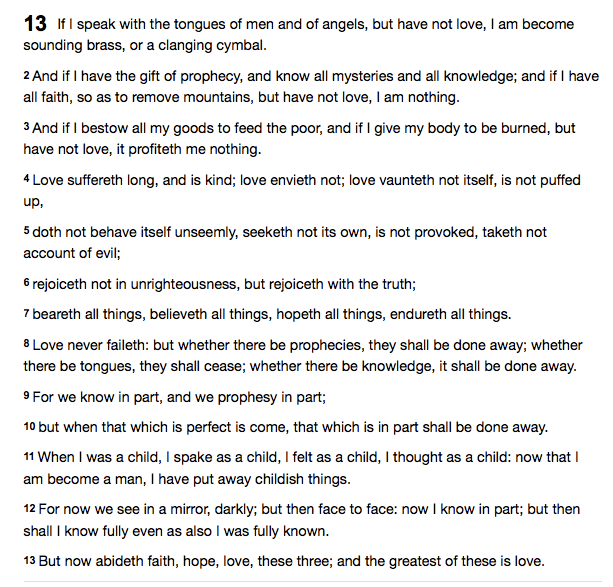 I Corinthians 13 has always been my favourite Bible quotation. We both believe a sense of humor is right there near the top of the list of must-haves in a marriage. Otherwise, life would be testy and tedious for sure! Thanks for the timely tip, Darlene. Congratulations! Lovely couple, then and now. Warmest wishes to you. Thanks, Beverly. So nice to have you as a virtual friend and writing compadre. Without that 6-month memoir class it wouldn\’t have been possible. All the best to you and your family too. Did you wear a flip hairdo? Great photo. I\’ve reflected recently that we no longer feel a need to argue about the things we once argued about. There are still disagreements and different points of view on many topics, but they used to worry me and cause me to get bent out of shape. Today, not so much. Enjoy! About a month or so before my wedding, I cut my long hair. The stylist braided my thick locks, put a rubber band around them, and clipped it all off with her shears. My hair, in total shock from the affront, stood straight out for awhile. Until I was 26, my hair was fastened to my head by hairpins in braids or a bun. I remember feeling at once free and frightened. Now I\’d have to learn a new hairdo – ha! Even at Bossler Mennonite Church, only a few elderly women still wear prayer veilings. The pastor\’s wife, about my age, wears what looks like a doily. We all know it\’s the heart that counts. You know what it\’s like, Melodie. You\’ve been there too! Oh my, I had no idea you were only a month into shorter hair by the time of your wedding. Free and frightened–good way to describe it. I\’m sure you\’re write more about this in your memoir! Lovely post and photos Marian thank you for sharing them! The first 48 years are the hardest, all is easy from now on! At least that what\’s I say to my husband come every wedding anniversary. May yours and Cliff\’s continue to be blessed in every way. May love always be at your side, a sense of humour and wonder of this world. The first 48 years are the hardest made me smile. Apparently you and hubby have a higher count than we do. I do appreciate the good wishes, Susan. (Got rid of the duplicate – no worries! 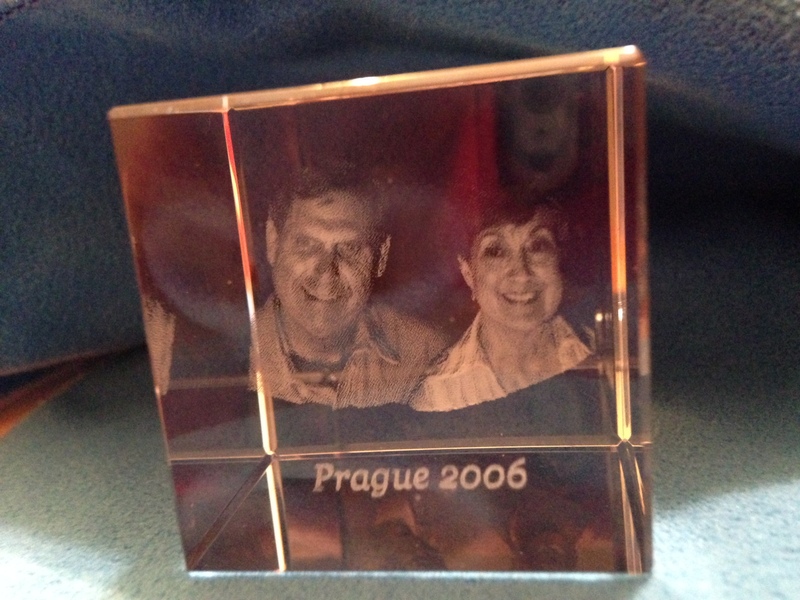 Marian — Happy 48th Wedding Anniversary! The cake-cutting photograph is fantastic! Yes. I do remember that listing, especially the laughter point. I think laughs pull us into the Now and momentarily break the lapse into whatever bugged us in the Past. Works for all relationships, not just marriage. Thanks for the dual recognition here and on Twitter, Laurie! Happy anniversary Cliff and Marian. Love the wedding photo, memories and tips. Paul and I didn\’t have the longevity, but the quality of our time together was above anything either of us had ever known. Happy surprises were a main ingredient. It was an unspoken competition, to make the other person smile by leaving a love note or doing at least one small thing (often silly) with loving intention every day. Simple manners are another way to infuse your marriage with happiness. \”Please,\” \”Thank you,\” and \”Here, let me get that for you,\” go a long ways towards that goal. May you have many more anniversaries and sweet memories. I used to think that have a certain number of years of marriage was enough. But it\’s never enough. I love your paean of gratitude here for your relationship with Paul, but I know you miss him terribly still. The \”Happy Surprises\” practice is appealing to me. Thanks for the suggestion, Patti. Happy anniversary, Marian and Clif! Your season of celebration is Leo-like also, but we are two years behind you. Love the wedding photo also. Thank you for the good wishes. I do remember reading this well-constructed list. I like to think this was a happy collaboration between you and Stuart! Best wishes too on your August (?) anniversary, Shirley. Happy 48th Wedding Anniversary, Marian and Cliff! What a lovely, heartwarming message about lasting love and marriage. Your photos are priceless. 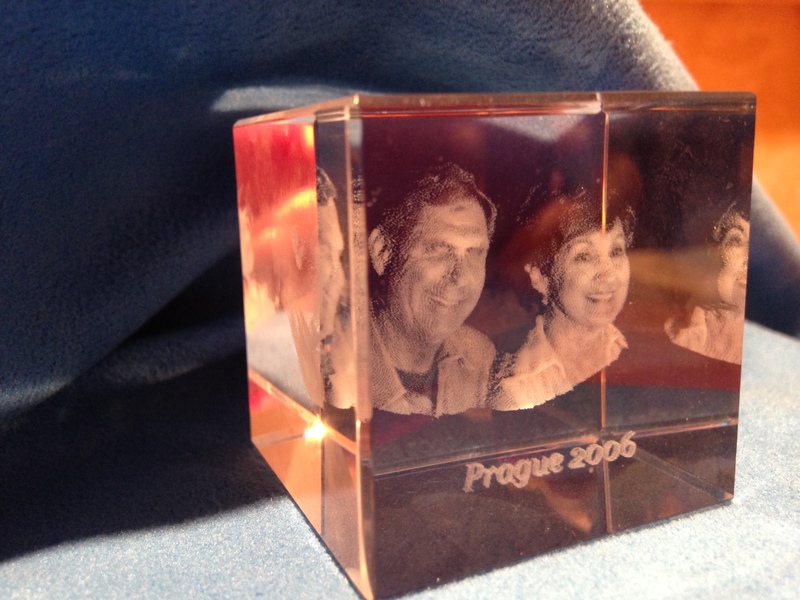 A cube and a square insert in our wedding album – probably a metaphor embedded in there somewhere. Something to round it out too? Hmmmm . . . Thank you for sharing the joy, Kathy. Congratulations Marian I am so happy for you both . What a delightful wedding photo you look beautiful and your hubby looks handsome … You really do look in love . I\’m an old softy so romance is so important in a relationship , also your partner has to be your best friend . I have always told Colin everything . Sometimes I try really hard not to , like it was me who dented the car ,,not someone else who parked next to me but I can\’t help it I have to tell him …it just falls of my tongue he can never be angry with me …he ends up laughing . Oh did I say laughter that\’s so important . I hear humor and laughter in all of your comments, Cherry, especially the dented car incident – ha! Happy Anniversary, and cheers to many more to come! I hear humor with laughter in all of your comments, Cherry, as in the dented car incident – ha! What a beautiful post! I love your wedding picture! You are an inspiration, Marian! Happy Anniversary to you and Cliff. I Love the last stanza of the blessing! We both have featured romantic themes this week and why not! Glad you liked the sentiment in the blessing too, Joan. Congratulations and continuing blessings to you, Marian and Cliff. Marian, this is beautifully created and shared. Thank you. On our wedding invitations, I Corinthians 13: 13 was the center of the cover. We still smile because a family acquaintance who counted herself a Bible scholar called and said we had it wrong; the greatest of these was faith. She mailed us a card with a mustard seed in a tiny glass ball and wrote below that if we had the faith of a mustard seed we would know that faith was more important than love. We didn\’t argue; and frankly, we were relieved when she didn\’t come to the wedding. Poor lady, bless her heart . . . A screw loose? Early dementia? Sometimes it\’s best just to laugh, which is what I did reading your comment. What a treasure trove of stories, Marylin – love them all! And you two as well, Debby! Thank you. Wow – that is an achievement! Wishing you many more happy years together. Thank you for letting me celebrate your marriage with you, Marian. Vic and I just barely made it to 40 and we celebrated that one with poetry in his hospital room. All the love showed up, even more cherished than usual. This year would have been 47. I highly recommend long loving marriages with lots of talking, a dose of arguing, and plenty of fully expressed affection. When the physical manifestation of the union dissolves with death, we still have the inner marriage to give us strength. When I looks at comments on your own blog posts, I realize how many are following a path you have hewn for them. Brava! Congrats on you soon-to-be big 31. Support from mates in these writing ventures is essential. When I have read the acknowledgements in books in the past, I often wondered about the big to-do. Now I realize why! Lucky you – mine too! Thanks for noticing all the details and commenting here too! Congratulations. What a lovely wedding photo too. Thanks, Marie. I\’m sure you and Commando have stories too. In fact, I\’ve read some of them on your website. Happy travels – safe walking! Happy anniversary and may God bless you with many more. Thank you, Athanasia. And the same to you! 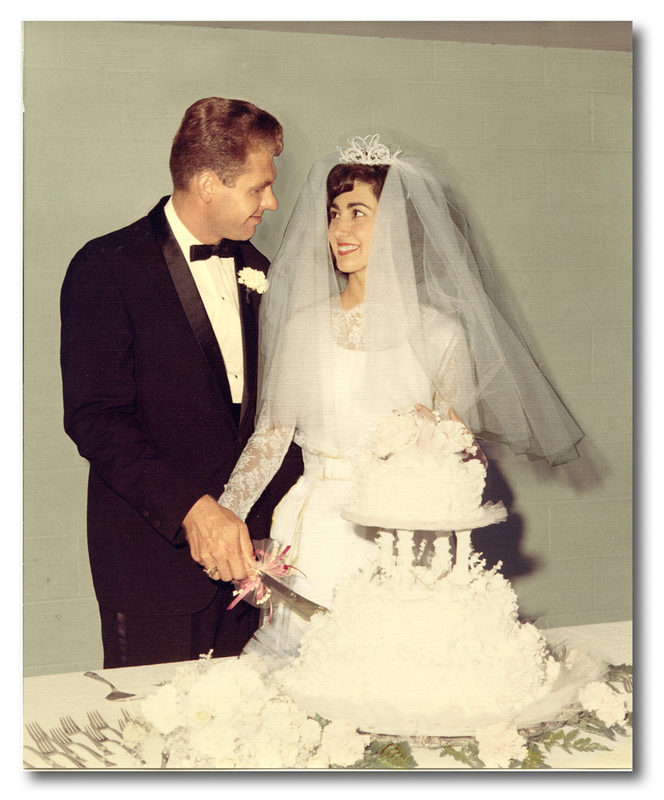 Congratulations on your anniversary–I wish you 48 more happy years of marriage! Wow, Rebecca. You have high expectations for my living well past 100! Thanks for the good wishes!